When one hears the words “Friday the 13th” they think of black cats, bad vibes, and Jason’s schizo mom murdering Crystal Lake camp counselors, including one Kevin Bacon. When tattoo enthusiasts hear the phrase, however, they think of long lines and a great deal… followed by Kevin Bacon, of course. Williamsburg’s Gristle Tattoo is keeping up with the spirit of the faux holiday by offering $13 tats of selected images featuring the number 13. 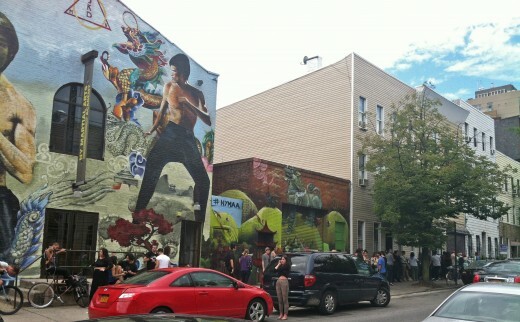 The line certainly has more than 13 people in it: it stretches past the NY Martial Arts Academy, but those waiting are making the best of it by eating, chatting, and lets be real: Instagramming.